PRofessional Solutions, LLC and other members of The Boss Ladies were proud to be sponsors of the 22nd annual Washington Women in Public Relations (WWPR) Washington PR Woman of the Year awards program on November 15, 2011 at the Capital Hilton. 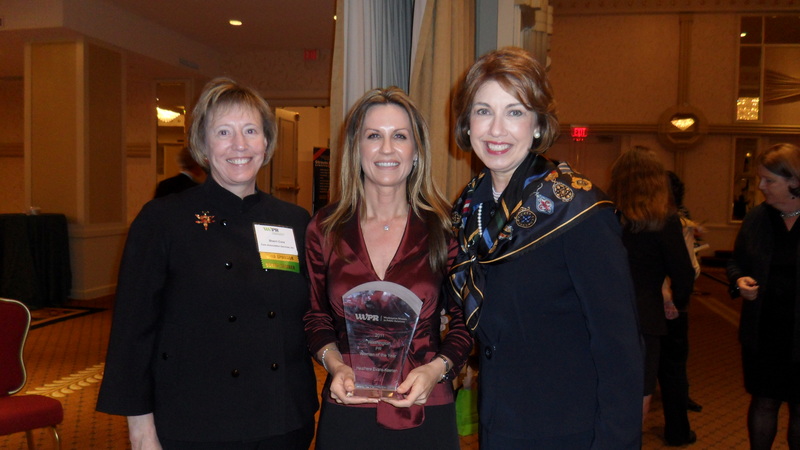 Heathere Evans-Keenan, APR, president of Keenan PR, Inc. , pictured here with Sherri Core of Core Association Services and Kate Perrin of PRofessional Solutions, was presented with this prestigious award. Evans-Keenan founded Keenan PR, an award-winning public relations and communications firm, in 1999 and has served as president of the National Capital Chapter of the Public Relations Society of America (PRSA). The event featured a keynote address by Jen Psaki, former White House deputy communications director and current managing director of Global Strategy Group. A raffle was held to benefit WWPR’s pro bono client, Thrive DC, a nonprofit working to end homelessness.